In this roundtable session, you will meet with your peers and discuss issues relating to health care fraud. The session will be limited to 100 attendees, on a first-come, first-served basis, to allow for maximum engagement and interaction. Facilitators will guide you through discussion questions, but the primary lessons will come from sharing experiences and best practices with your peers. 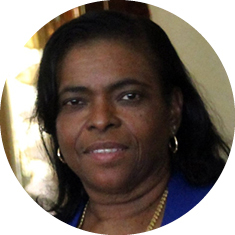 Jacqueline Nash Bloink has worked in the healthcare industry since the mid-90s. Her passion is healthcare compliance and fighting healthcare fraud. She holds a MBA in Healthcare Management and is She is a Certified Fraud Examiner (CFE), a Registered Health Information Management Administrator (RHIA), is certified in Healthcare Compliance (CHC and CPCO), a Professional Coder and Coder Instructor (CPC and CPC-I) and Medical Reimbursement Specialist (CMRS). Bloink is a published author and national speaker on the topic of healthcare compliance and healthcare fraud – including co-presenting with CMS and the OIG on the topic of healthcare compliance. Some of her career roles have included medical practice administration; coding and billing manager at a physician teaching hospital; corporate responsibility auditor for a large healthcare network; and compliance director for the largest provider group in Arizona. Bloink is currently an adjunct Professor for the University of Arizona and a consultant that specializes in assisting businesses, organizations and legal teams with various projects that involve provider education, healthcare coding, compliance or fraud. 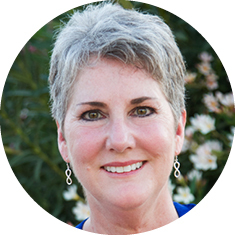 With over 25 years in the healthcare industry Jerri Rowe has extensive managerial experience in both the administrative and clinical arenas with an emphasis on proper medical coding and billing to avoid fraud, waste and abuse. Currently, she is self-employed as an external auditor for physician practices and facilities specializing in Auditing, Risk coding (Hierarchal Condition Categories/Risk Adjustment Factor – HCC/RAF), E&M coding, and fraud prevention. Rowe also educates those entering the field, teaching medical billing and coding online and serves as a subject matter expert for McGraw Hill as Content Contributor in creating teaching resources to accompany medical coding texts.